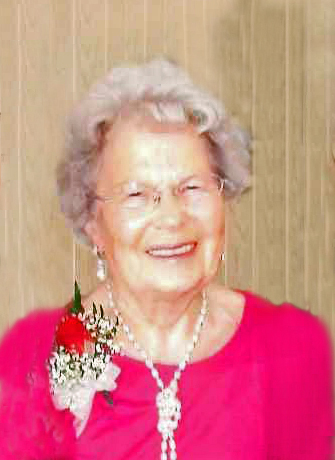 Annie Winnicki Obituary - Porcupine Plain, Saskatchewan | Blair's Funeral Home Ltd. The Memorial Candle Program has been designed to help offset the costs associated with the hosting this Tribute Website in perpetuity. Through the lighting of a memorial candle, your thoughtful gesture will be recorded in the Book of Memories and the proceeds will go directly towards helping ensure that the family and friends of Annie Winnicki can continue to memorialize, re-visit, interact with each other and enhance this tribute for future generations. It is with the heaviest of hearts that we announce the peaceful passing of Annie on March 1, 2018 at the Red Deer Nursing Home, Porcupine Plain, SK, at the age of 93 years. Annie was born in the Ukraine February 9, 1925. She came to Canada at the age of four. She married John Winnicki. They farmed in the High Tor area for years before moving to town. Annie spent many hours in her garden. She made the best perogies, cabbage rolls and pickles in the country. She enjoyed curling and spending time with family and friends. She will be greatly missed by all that knew her. She will be treasured always and lovingly remembered by her sisters Mary Hayunga, Josie Kizlyk, brother Jerry (Sharon) Siwak, as well as numerous nieces and nephews and great nieces and nephews. Annie was predeceased by her parents Roman & Justina Siwak, her husband John Winnicki, brother Mike Siwak, sister-in-law Eileen Siwak, brothers-in-law, Bill Kizlyk & Bernard Hayunga, nephew Scotty Hayunga, her in-laws John Winniski, Annie Winniski Philipowich, and Onufrey Philipowich, brothers-in-law and sisters-in-law Walter, Ed, Katherine (Hook), and Dmytriw Winniski, Annie (Andrews), Mary (Casper), Walter, Metro, Pauline (Witowski), Marjorie (Hilkewich), Steve Philipowich and Helen Tkachuk.